Soon, I will be posting some preliminary artwork for my children's book Fat Baby. 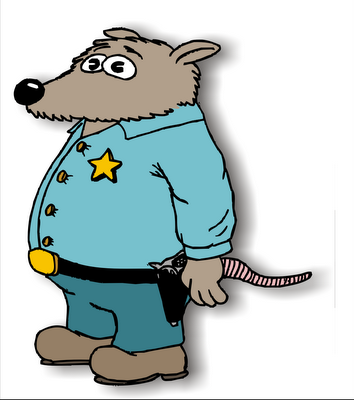 So after three years of work, the children's book Fat Baby is done and available on lulu.com. 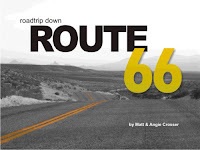 You can purchase it for for download or buy a copy that is shipped directly to you. If you do purchase one, I would love to hear your feedback. Post here or at lulu.com on Fat Baby's page. This book was a collaboration between myself and friend, Milton Hendricks. 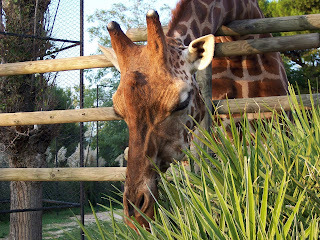 I go to the zoo from time to time and take pictures of the animals for depth of research, practice and realism in my drawings. 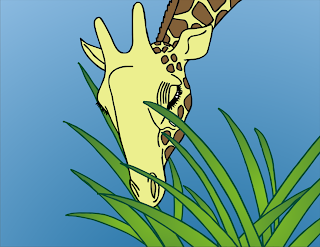 Here are some practice drawings of a giraffe including the original picture. 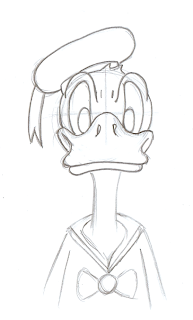 The first drawing is the more realistic version and the second is the more toonified. I am reading through a good book right now. 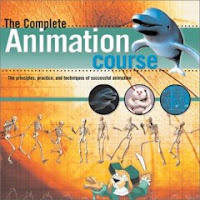 It is called "The Complete Animation Course." Each chapter is like a lesson of sorts. Some of the material does not really fit to my direction of art/animation but has some great principles. I just finished and uploaded my second book to www.lulu.com. It is called "Fat Baby" and it is a collaborative work with Milton Hendricks. Milton is a friend of mine, who also serves as half of our Forwarding Agent staff for our mission to Italy. His wife, Elizabeth, is the other half. It is a book that we have been working on for three years. So it is nice to have it finished and published. It should be available for print or download within the next week or so, I will post when it happens. 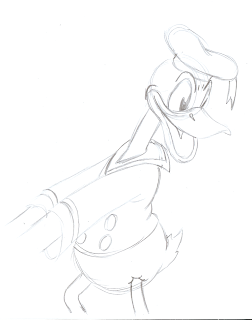 Soon I will be posting some of the production work in pencils, ink, etc... for the book as I went along. And from the perennial "Rudolph the Red-Nosed Reindeer" comes these great figurines that are extremely well molded. 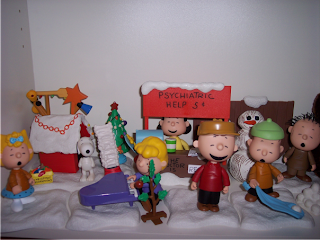 Here are my Peanuts Christmas figurines. 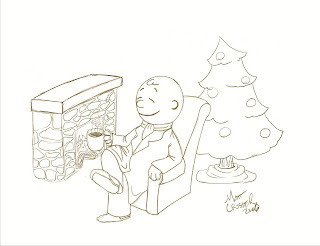 Merry Christmas Charlie Brown. 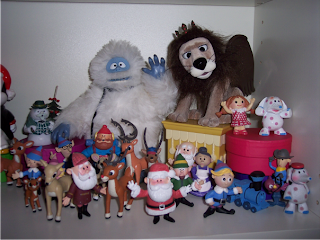 Here are some of my seasonal figurines. 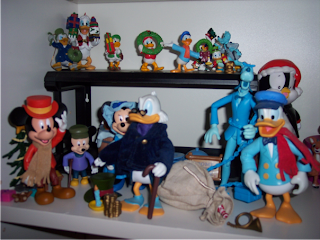 Most of these Disney figurines are from "A Christmas Carol"
I am a collector of toys...especially Donald Duck. 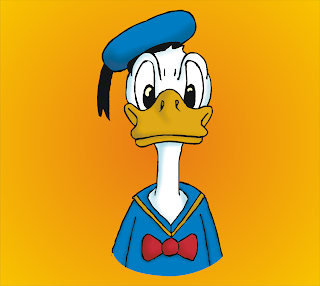 Fortunately, here in Italy they love Donald very much and there are many inexpensive opportunities to acquire Duck figurines. I will try to upload some pictures of them some time. Suffice it say, they serve as an inspiration to me. Also, they are good for drawing models. I can take these 3D figurines and turn them at any angle and see where the eyes get smaller or the tail can't be seen any longer. Anytime I have seen offices of artists or animators there are usually pieces of inspiration scattered all about. In a podcast interview with John Lasseter of Pixar/Disney, he said that when they moved into their new wing they didn't put up finished walls/cubicles for the artists. In fact, they used a wooden frame and then covered it in corkboard. Corkboard! That way the artists could decorate it however they liked and it would be their own touch. Over the years I have bought figurines at garage sales, flea markets, thrift stores, Disney stores, Disneyland and World, newstands along with numerous other places to fill my collection. What inspires you? 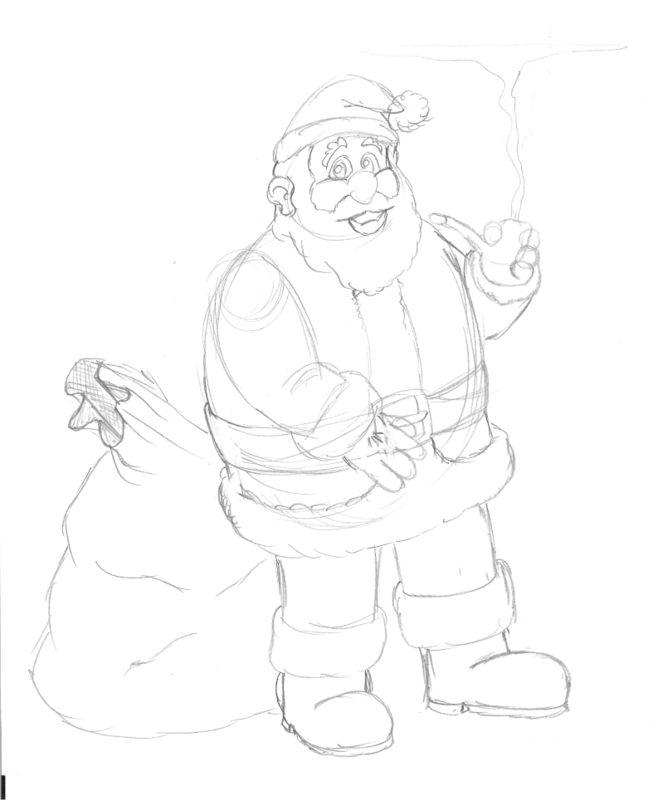 Then I took the first sketch, scanned it in and inked it on the computer. 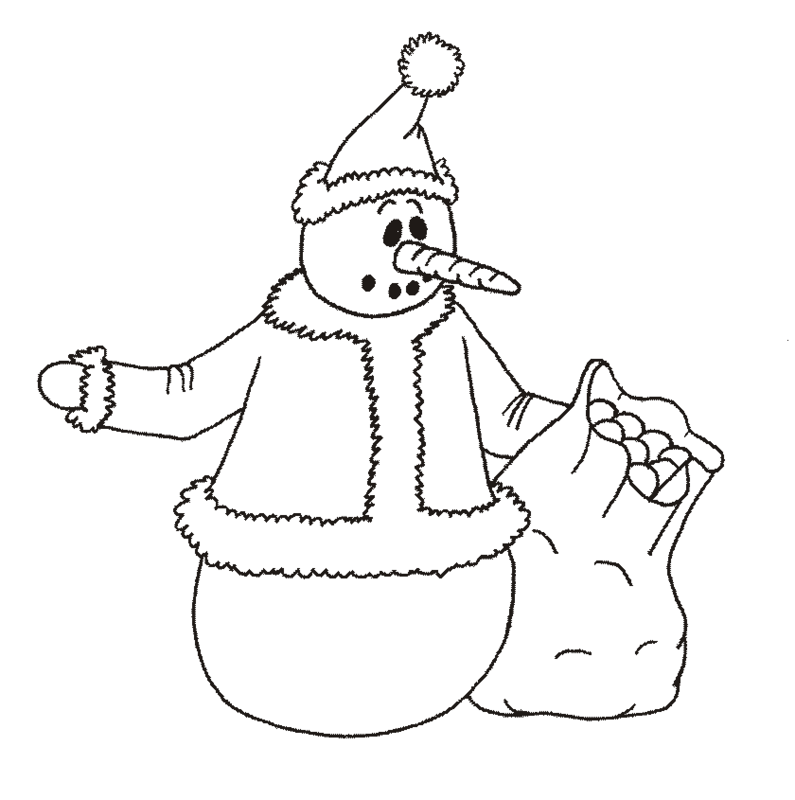 Then I used CorelDraw to add coloring. 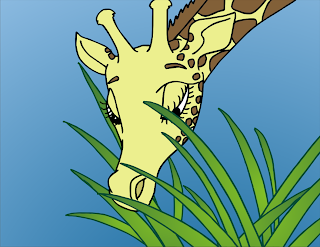 Finally, I used CorelPhotoPaint to add shading, imported it back into CorelDraw and then added the background and voila! 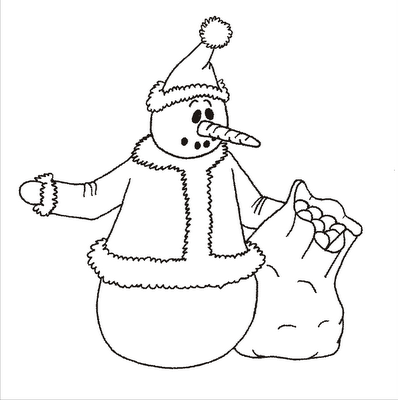 I just added some art links on the side of the page. 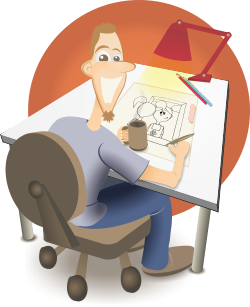 These links point you to websites that vary in topic from 'how-to-animate/draw', comics, animation history, animation preservation, animation appreciation, animation news, illustration and story boarding. Depending on what I am working on, I either research a subject or experience one. For instance for the Children's Bible story curriculum I study first the passage, then encyclopedias for further help, looking for costuming ideas. I look at picture encyclopedias for many ideas. Then I do searches for those images online and see what I come up with. On other projects, inspiration may come from places I have been or events in my life that I experience. Most of the time I am seeking out inspiration from all I do. That is one of the reasons why I take so many pictures. I love digital photography and the seemingly 'unlimitedness' it provides. I usually take about 1000 pictures each month. Several months ago, I was taking pictures of the sky, clouds, etc... I would be driving along and look up and see some really cool cloud formations, so I would pull over and take some shots. I guess I like to keep my eyes open. This blog will be used to share some of the sketches and art projects, personal and ministry, that I create. Some things will show a progress, others just a one shot sketch for the moment. Hopefully I am continue to grow in my art and encourage others at the same time to keep working at it, if they love creating.